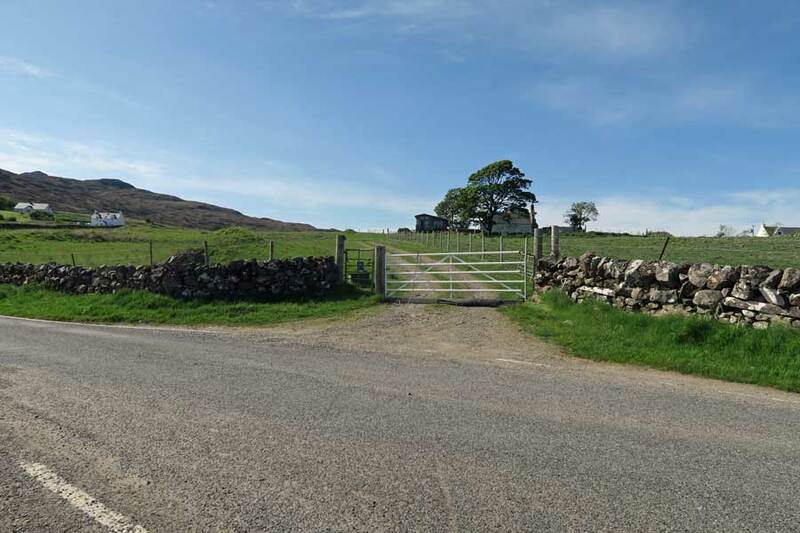 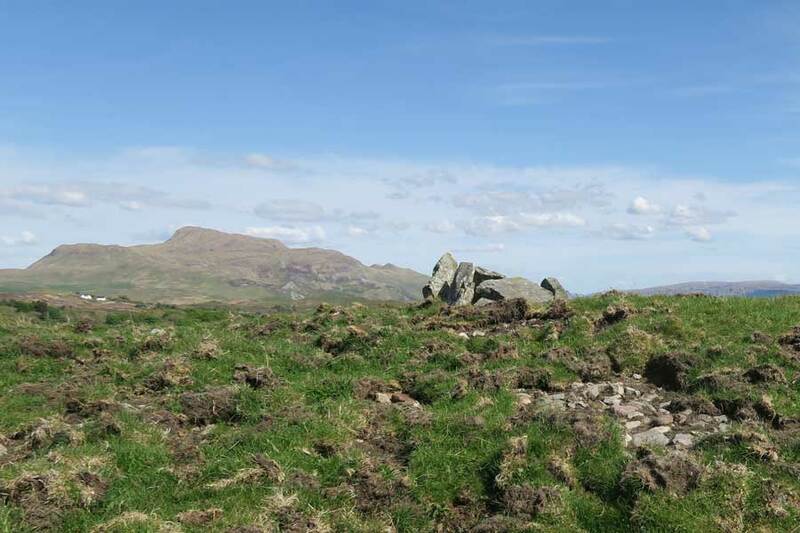 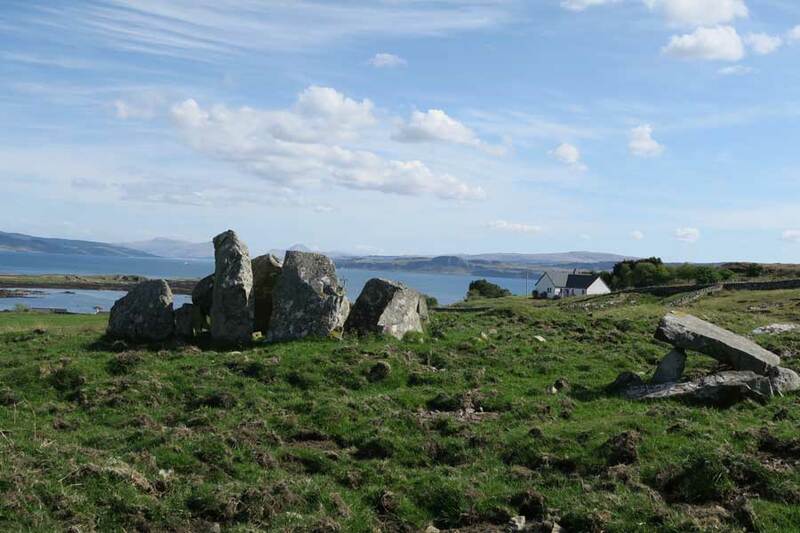 Greadal Fhinn is a Neolithic chambered cairn located on the top of a knoll, 300 metres north west of Ormsaigmore on the Ardnamurchan peninsula. 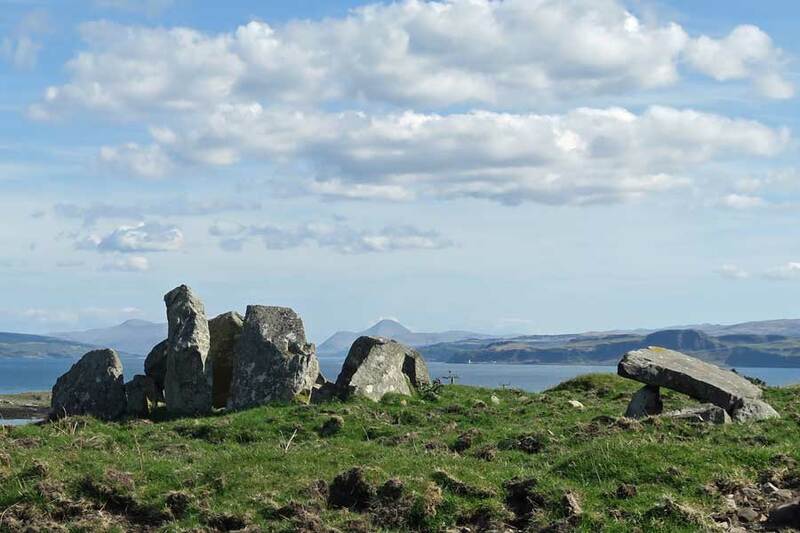 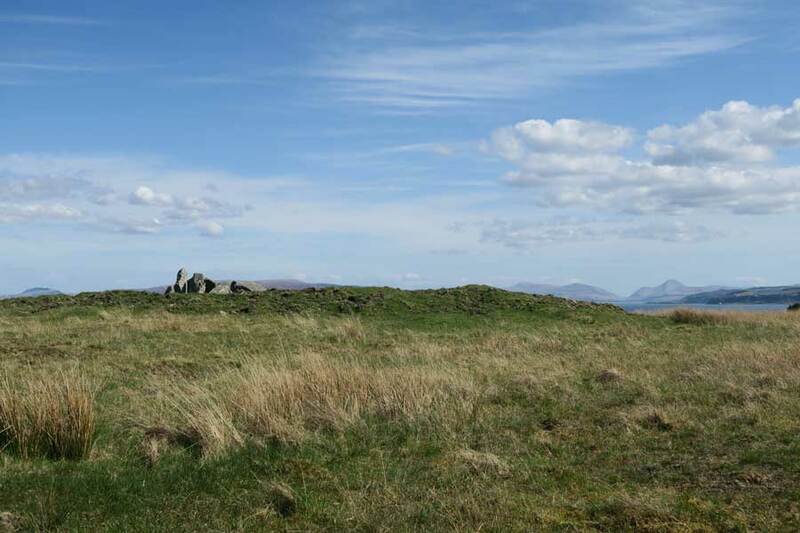 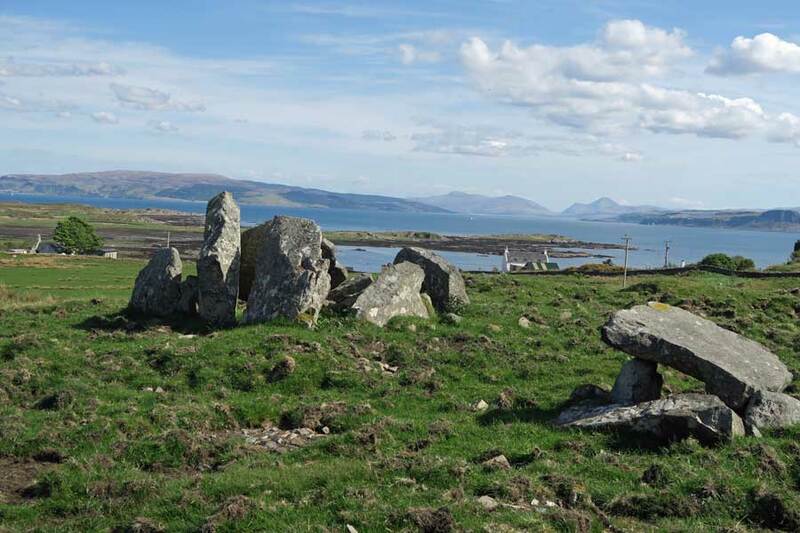 The chambered cairn is nearly circular in shape, measuring 22.6 metres by 21.3 metres with a current maximum height of 0.6m. 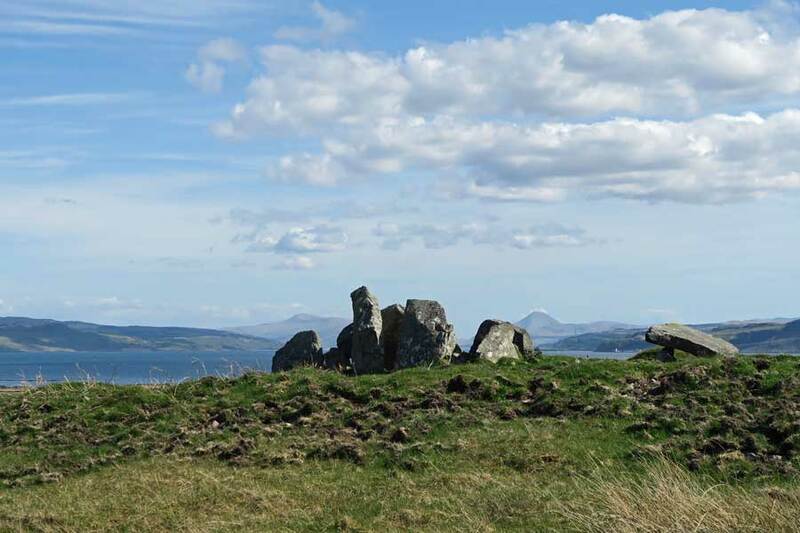 Many of the stones of the cairn have long since been removed which has exposed the two burial chambers. 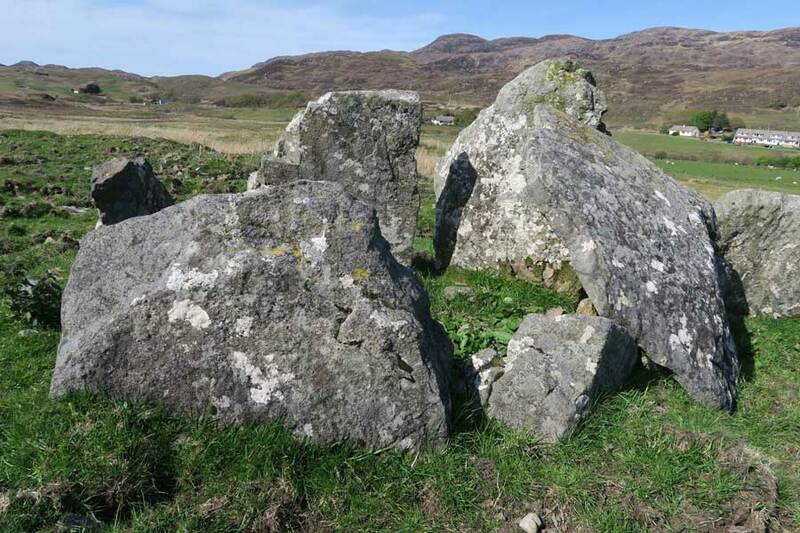 A leaning slab of dimensions 1.5m x 0.9m may have been the original kerb stone, one of possibly many that have surrounded the cairn. 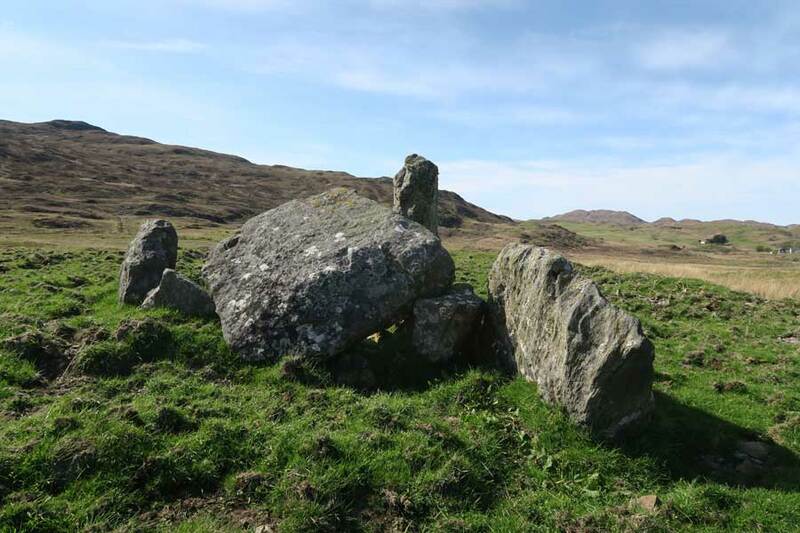 The smaller, more central chamber is a cist grave which is rectangular in outline (1m x 0.75m) and formed from four upright slabs covered by a cap stone (now dislodged). 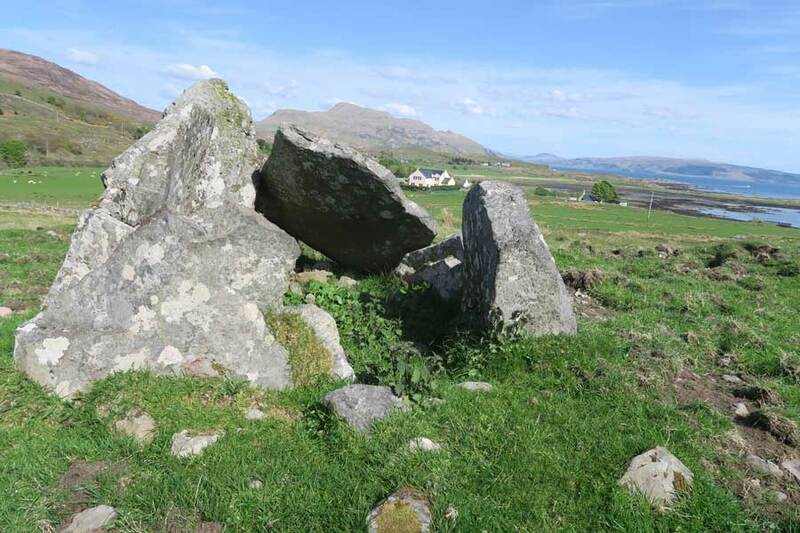 There is a narrow opening at the south -east corner, flanked by two stones, which is thought to be the entrance. 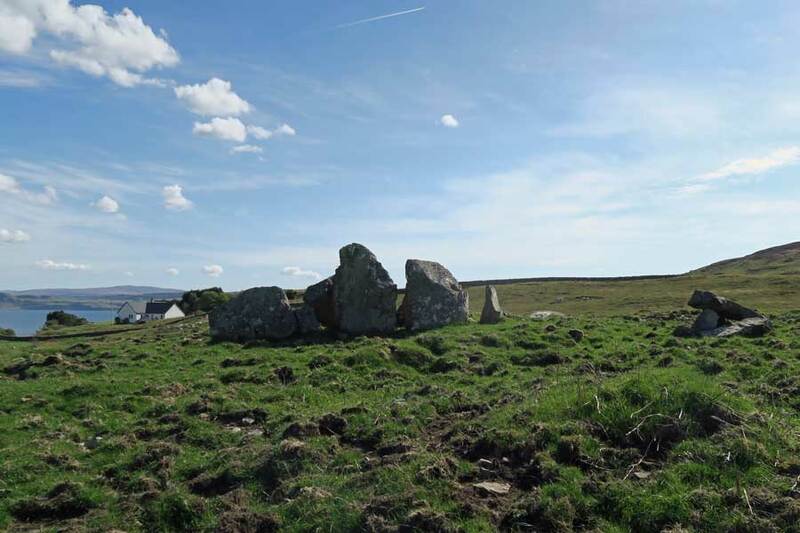 Seven upright stones and a capstone mark the passage grave on the south east side. 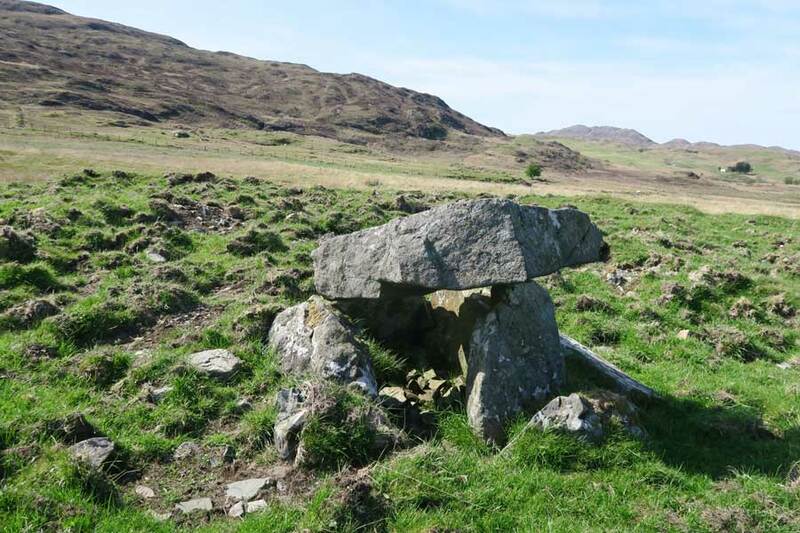 The chamber consists of five vertical slabs up to 1.55m and measures 3.2m by 1.9 m internally. 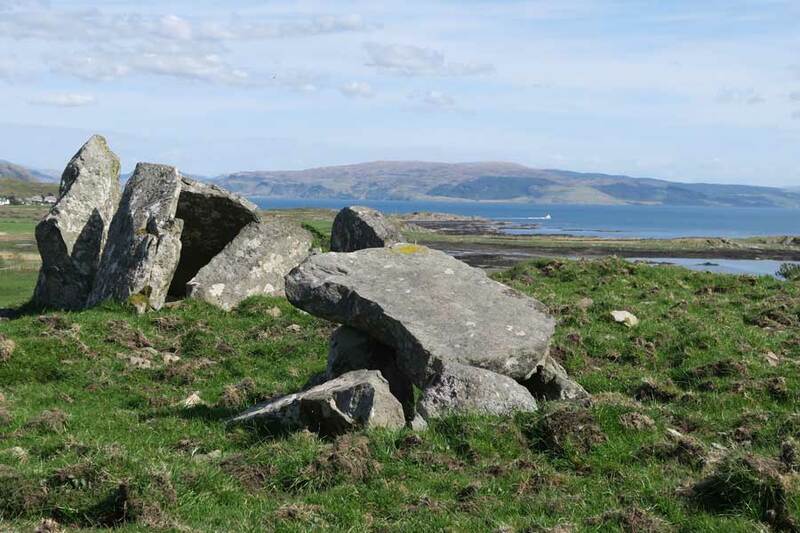 It is entered by a chamber passage (1.4m x 0.9m) with a ESE and WNE alignment. 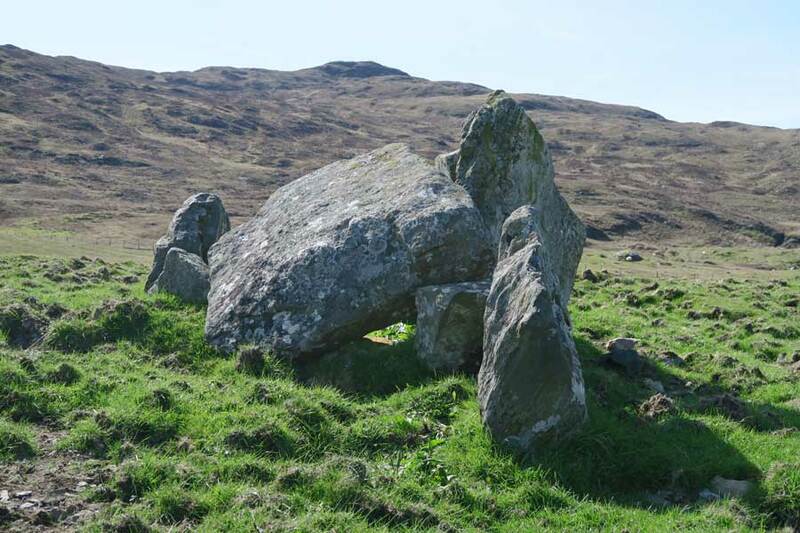 The internal chamber is divided from the north side by a transverse slab. 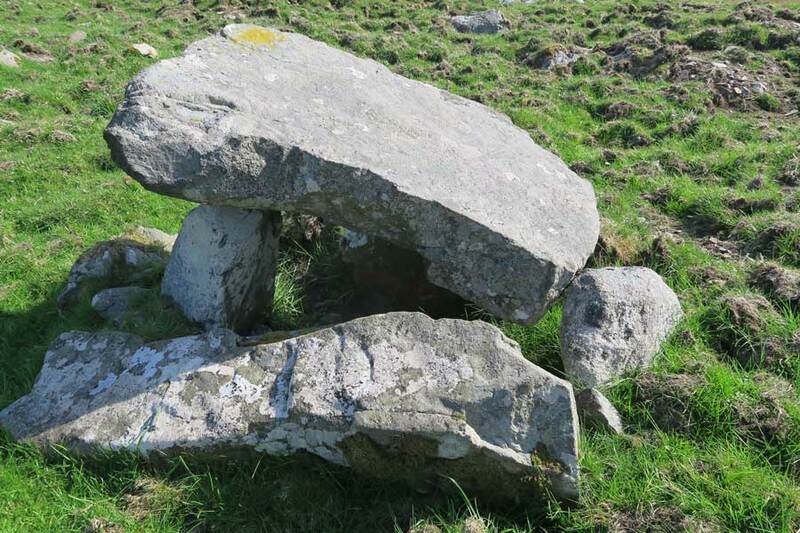 The dislodged capstone blocks the passage.